When was the last time that you reached into the cupboard and pulled out that dusty Clue or Snakes and Ladders board game? A week? A month? Years? Evolving technology has opened our eyes to alsorts of fun that everyone can enjoy playing online party games with friends. Belly-aching is standard. Games are a great way to bond with friends. Today party games offer so much more than merely rolling a dice and moving pieces across a board. So, if you’re planning a shindig for friends or family and keen on guaranteeing that everyone has a rip-roaring time, The Name Game, or one of these other great mobile party games, arre the must have party accessories. Renowned for its ability to bring hysterical entertainment to even the dreariest of occasions, The Name Game has something for everyone – and is fun for people of all ages! Getting started couldn’t be simpler. Divide the players up into two or three teams. Each team is given a list of famous characters, celebrities, historical figures, sports stars, or faces etched into our brains. Then let the frantic guessing begin! The team that scores the most correct answers in under 30 seconds crowned champions and keep the bragging rights – until the next round begins! Play with friends or join in the fun with teams online. The choice is yours! Anyone that’s ever watched the Ellen DeGeneres show will automatically recognised Heads Up! Not dissimilar to The Name Game, Heads Up! challenges players to guess as many words as possible based on clues provided. Heads Up! has a charades-style premise with one player holding their mobile phone displaying a word above their head whilst the remaining players try to help them guess what the word is through a series of clues. Once the time’s up, the team with the most correct answers will be declared the winner. Name categories include animals, celebrities and movies and players can even customise their categories with in-app purchases. 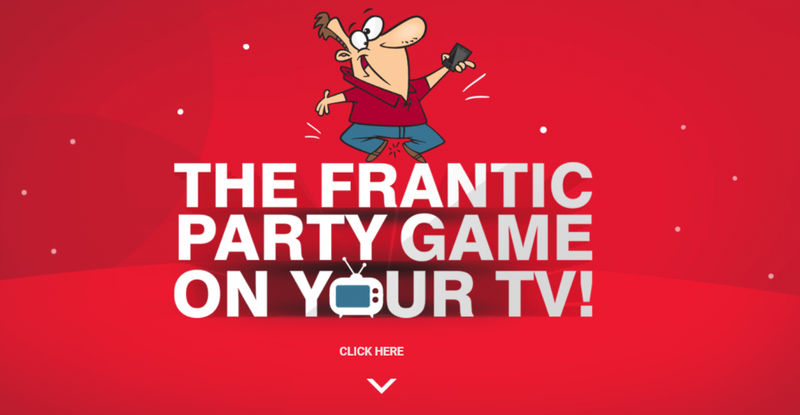 For the small price of $24.99, party go-ers can buy a collection of some of the most popular online party games – provided they own an Apple TV, of course. Trivia-lovers will delight in the new addition of You Don’t Know Jack which features a wealth of weird and wonderful Trivia questions, complete with hilariously demented narration and faux adverts and sponsors to have everyone laughing and scratching their head all at the same time! The Jackbox Party Pack also includes the true of false game, Lie Swatter, famed bluffing game, Fibbage, in addition to Word Spud and Drawful which is sure to highlight the budding the Van Gogh’s in the room! Players can turn their smartphones and web browsers into mobile game controllers, meaning that organising a night of frolicking fun has never been easier. There you have it, two online party games that no shindig should go without and a party pack perfect for those with an Apple TV. Thinking to hosting a party for the ages?